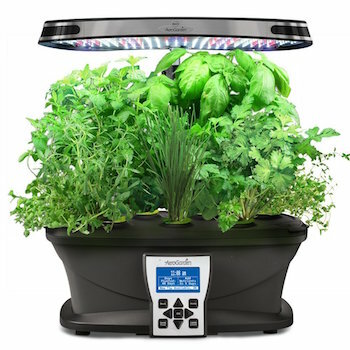 When I got my Aerogarden seed pack, it came with the Aerogarden as a package and was the Gourmet Herb Kit - it seems to be the one that most are supplied with. 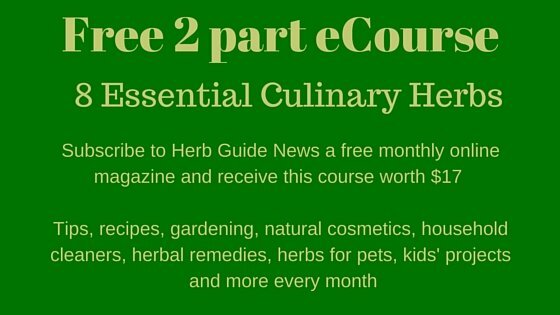 Once you've grown your herbs and they're all spent, then you've got to decide what you want to grow next. 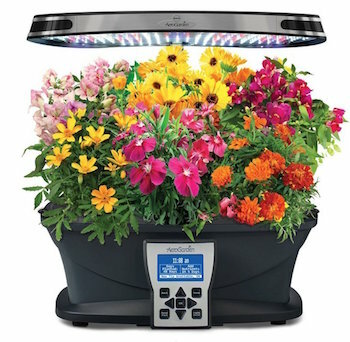 Apart from the herb seed kits and vegetable seed kits there are flower seed kits - how lovely would that be to have a stunning display of flowers in your house, all growing strongly under the grow lights. 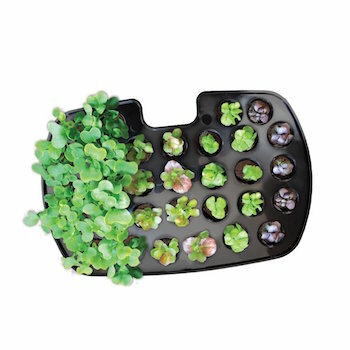 Of course, there's also the opportunity to grow whatever flowers or combination you like in the 'grow anything' kit, where you supply your own seeds. Aren't these glorious? 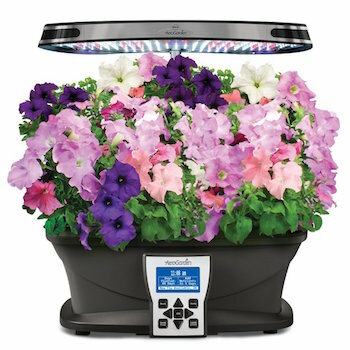 A mixed color range of Cascading Petunias whites and pinks to blues, you'll get a gorgeous crop of amazing flowers with 3 to 9 pods in the kit. They flower within six weeks and people report an abundance of flowers literally cascading over the side of the garden. Petunias need dead heading, as you'll probably know from growing them in hanging baskets outdoors. I remember spending ages nipping off the dead flowers and my fingers were always so sticky afterwards, but the reward is a continual series of buds and flowers. 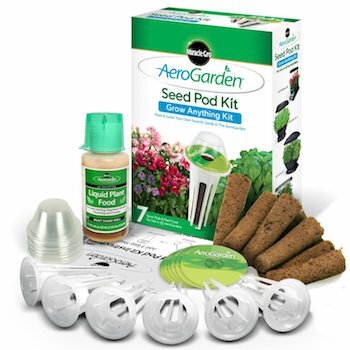 This aerogarden seed pack comes with an instruction leaflet, the pre-seeded pods with grow domes and the nutrient. The Mountain Meadow Flowers Seed Pack has Dianthus, Coreopsis, Gazania and Phlox. 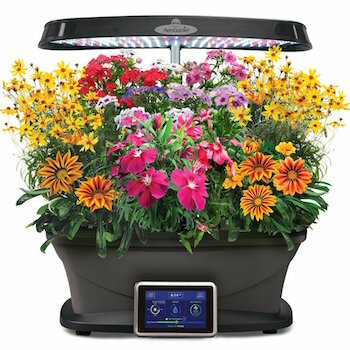 A beautiful mixture of flowers to grow indoors - vibrant and mixed colors. 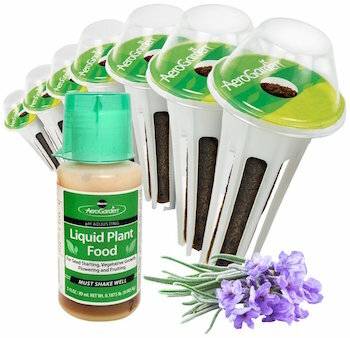 Again, it's a complete kit with nutrient and instructions and comes in 7 and 9 pod versions. Very mixed results from the reviews with some people saying that the pods looked old and didn't germinate. In fairness, those reviews are old and the latest reviews are giving five stars for how fabulous the flowers look when they're in bloom. They say six weeks or so to flower and they should last a few months if you dead head when the flowers go over. 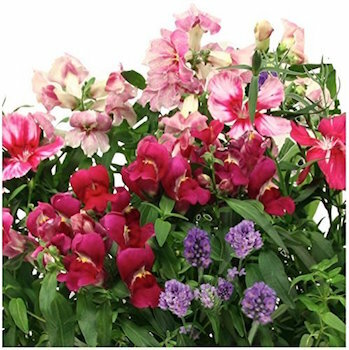 This English Cottage Garden seed kit has Snapdragons, Dianthus and Lavender in a 7 or 9 pod size. The reviews (although not many) are four and five stats with everybody saying how pleased they are with the blooms. I would imagine the fragrance would be divine - just touch the flowers and leaves every time you walk by and they'll release their scent. Do deadhead as the flowers fade and that will keep them blooming for the longest time possible. 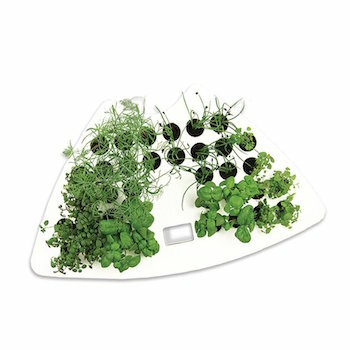 The kit contains the pods, domes instruction book and nutrient as standard. 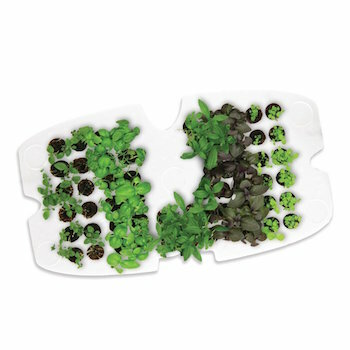 This Coleus seed kit comes in 6, 7 and 9 pod sizes. There's a good mixture of different coleus to provide a splash of vibrant color for months. 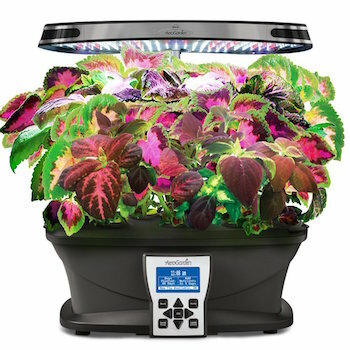 Coleus are extremely popular as indoor plants and there are societies of growers all over the world who are very active and have shows and competitions. The reviews are excellent - any negative ones are about germination, but the pod will be replaced without question, so it's not such a massive problem. 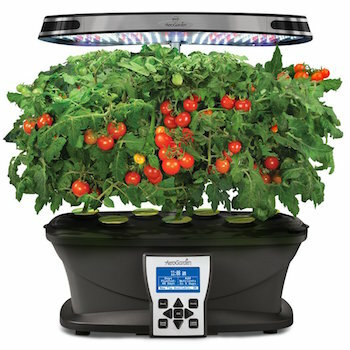 The standard kit contents, pods, domes, instruction booklet and nutrients are supplied. 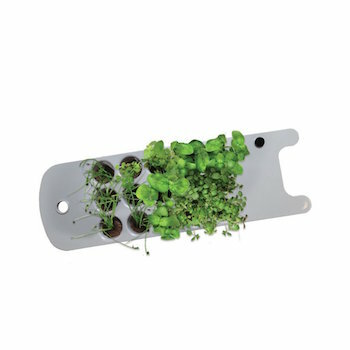 This Edibles seed kit comes in 6, 7 and 9 pod sizes and contains Calendula, Dianthus, Snapdragon, Lavender and Marigold. I think this would be a great kit to have - extremely colourful and useful as well. The reviews are overall good, but the negative ones are about germination. That's gardening and there is a replacement guarantee. That doesn't make up for the disappointment and uneven growing, but as gardeners, we do understand that these things happen. The standard contents of pods, domes, instruction booklet and nutrient are included.